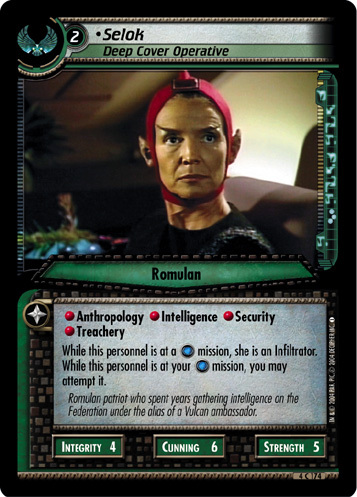 While this personnel is at a mission, she is an Infiltrator. 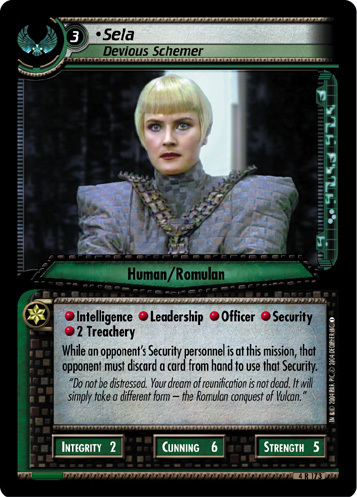 While this personnel is at your mission, you may attempt it. 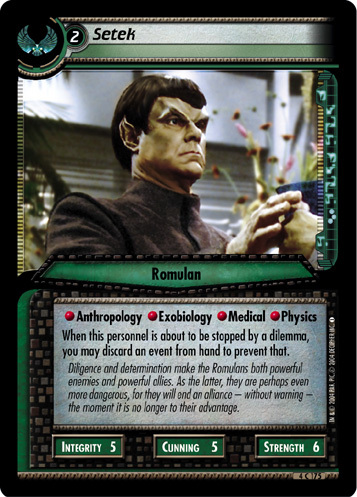 Romulan patriot who spent years gathering intelligence on the Federation under the alias of a Vulcan ambassador.